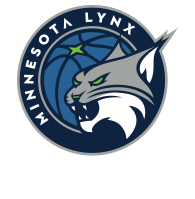 Today, Dec. 10, marks the 36th birthday of Lynx All-Star forward Rebekkah Brunson, perhaps better known as “The Machine” in these parts. Brunson’s resume is a full one. 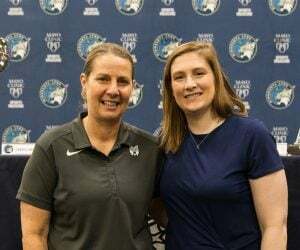 She’s the only player in WNBA history to win FIVE WNBA championships, one with Sacramento and four coming with your Minnesota Lynx. 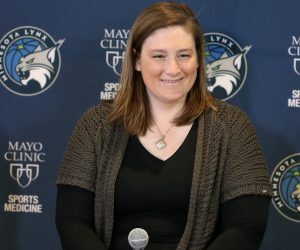 She’s made four WNBA All-Star teams (2007, 2011, 2013 and 2017). She has five WNBA All-Defensive Team Second Team nods (2007, 2008, 2010, 2013 and 2017) and one First-Team nod (2011). While her age is increasing (because that’s how life works), her production is not decreasing (normally how it works). 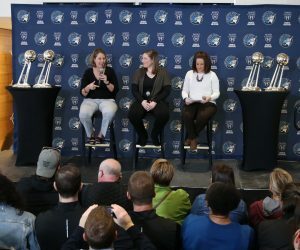 Brunson averaged 10.2 points (up 0.9 from her career average) and 6.7 rebounds per game last season as the Lynx won another championship. In 14 seasons, Brunson is averaging 9.3 points and 7.4 rebounds per game. Almost more impressive, Brunson has appeared in the playoffs 11 times and has played in 81 games over that stretch – 26 with Sacramento and 55 with Minnesota. She’s averaged 8.4 points and seven rebounds per game in the postseason, including 9.5 points and six rebounds last year. Last season, Brunson became the fifth WNBA player to haul in 3,000 career rebounds. 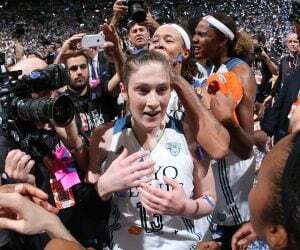 Brunson has been an incredible worker throughout her career. On birthday No. 36, though, maybe she deserves a day off.